The star of this recipe is delicious lemon canola oil, which should be a staple in any pantry. It may be used on fish, in salad dressings, on roasted vegetables and just about anywhere you would use canola oil. 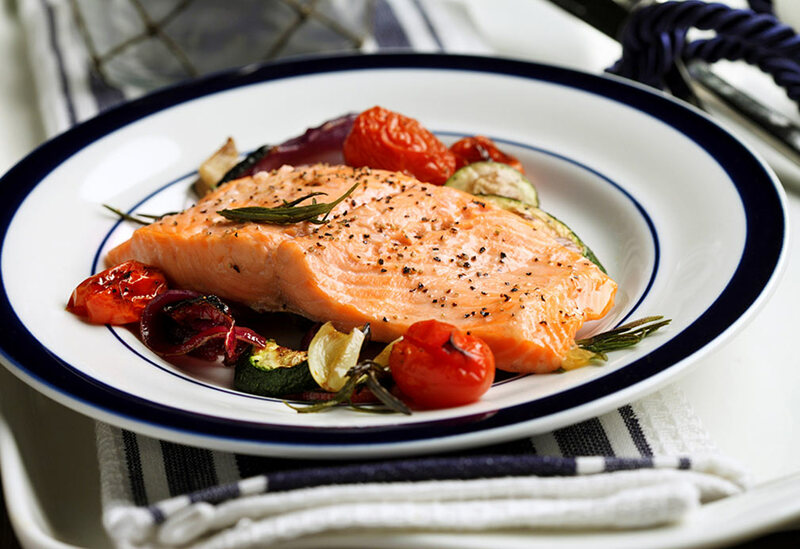 Here, it makes this simply prepared broiled trout with vegetables a tasty weekday meal. 2. Preheat broiler. In large bowl, combine zucchini, grape tomatoes, red onion, garlic and rosemary. Drizzle vegetable mixture with balsamic vinegar and lemon canola oil. Toss, then sprinkle with salt and pepper. 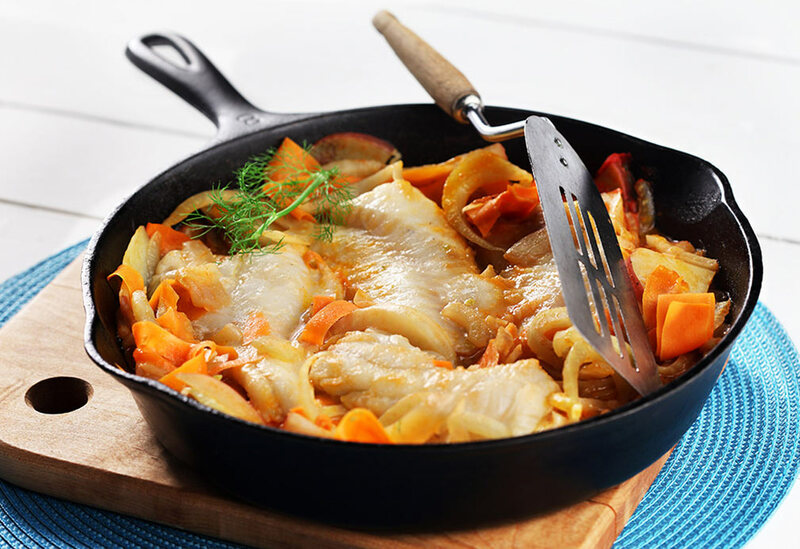 Spread vegetables in single layer on baking sheet and place 4 inches under broiler for 10 minutes or until vegetables are tender crisp and browned. Halfway through cooking time, toss vegetables. 3. While vegetables are cooking, prepare baking sheet with foil and canola oil cooking spray. Place trout fillets on prepared baking sheet. Sprinkle both sides with pepper and place rosemary sprig under each fillet. Drizzle each fillet with 1/2 tsp (2 mL) lemon canola oil. Place fish under broiler for 7 to 8 minutes or until fish is opaque and flaky. 4. 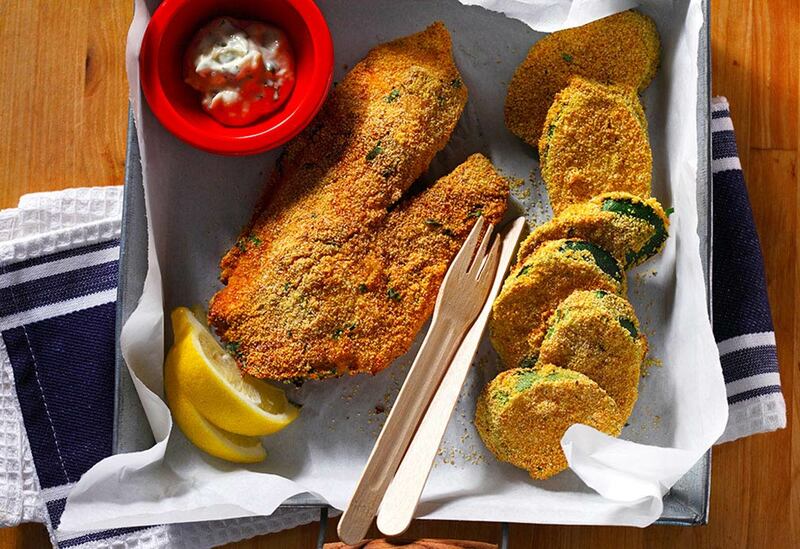 Carefully lift trout from baking pan with spatula and serve with vegetables. This Asian-inspired marinade blends together traditional ingredients found in teriyaki sauce such as soy sauce, garlic and ginger, but adds orange juice and chili flakes for a twist. 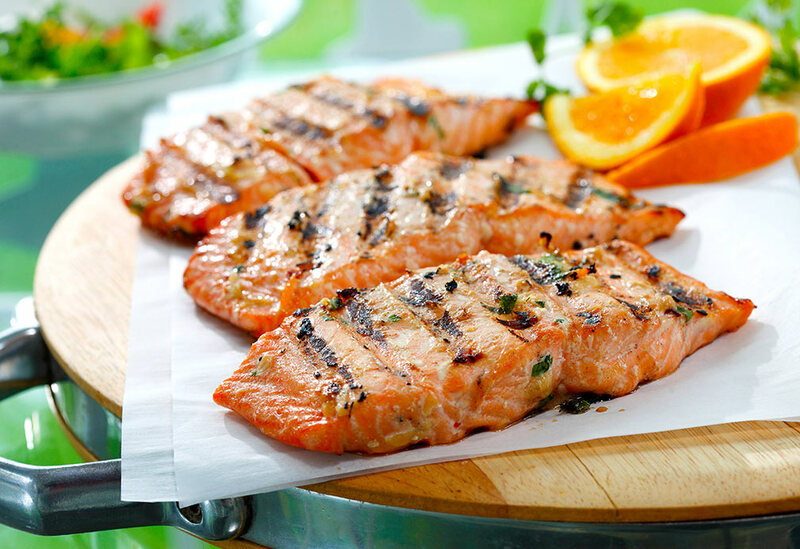 Canola oil showcases these ingredients beautifully while protecting the salmon on the grill. Get the crisp deliciousness of classic fish and chips without the heaviness and fat from frying. Here, white fish is breaded in cornmeal, misted with canola oil and baked at a high temperature so it's crisp. The breaded zucchini slices are a fun way to get vegetables into this comfort food meal. It's all served with a fresh lemony tartar sauce using a healthy base of canola oil mayonnaise.